Longstanding patient-doctor relationship helps improve health, quality of life. Peter Victoria proudly calls himself a car guy. 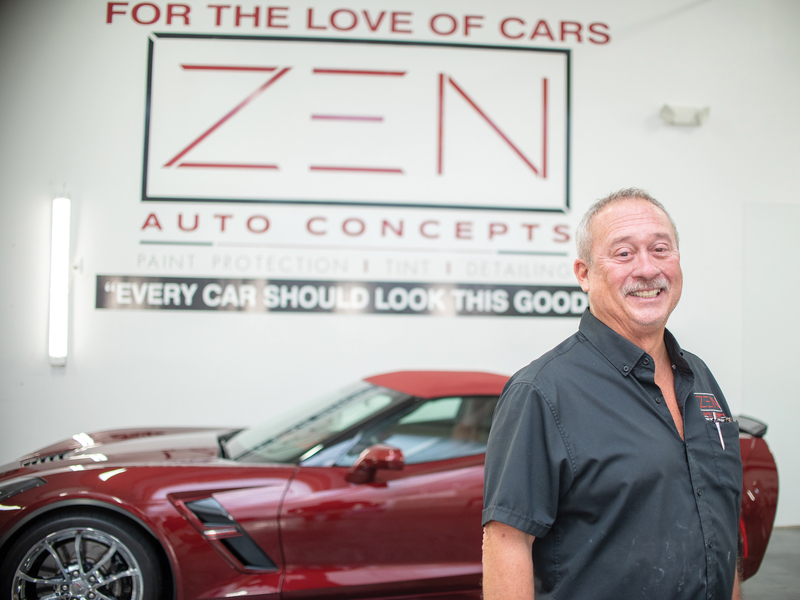 The owner of Zen Auto Concepts, which uses advanced technologies to keep automobiles looking like new, Peter details cars for a living, and when he’s not detailing cars, he’s often out racing them. Even on a track designed for it, racing a car at 140 miles per hour or more can be quite dangerous. Peter, 60, can tell you from experience that driving a car at any speed is even more dangerous when your vision is impaired. “I’ve had issues with my eyes since the 1990s, when it was discovered that the pressure in my eyes was a bit elevated,” Peter says. “For about the last five years, I’ve controlled it with drops and these implants that are like drain tubes that were put in my eyes. “These tubes reduce the eye pressure, and they’re so small, you don’t even notice them, but when they were put in, the doctor noticed I was developing cataracts. She told me then that when the cataracts start causing my vision to get cloudy, they’d have to come out. The doctor who implanted the drainage tubes, or tube shunts, in Peter’s eyes is Sarah Khodadadeh, MD, a Yale-trained glaucoma specialist and cataract surgeon who joined the Center for Advanced Eye Care in Vero Beach five years ago. Peter was, in fact, the first patient Dr. Khodadadeh performed glaucoma surgery on after joining the Center for Advanced Eye Care team. Peter has been a patient of Dr. Khodadadeh ever since, seeing her regularly for checkups and even some emergency care. Peter’s faith in Dr. Khodadadeh is so strong that when his vision became cloudy, he immediately turned to her again for help. It was the right choice because Dr. Khodadadeh’s unique skill set allowed her to not only remove Peter’s cataracts but further treat his glaucoma, all at the same time. “When we talk about glaucoma, we’re talking about a buildup of fluid in the front of the eye,” Dr. Khodadadeh educates. “It’s that buildup that increases the pressure, which can damage the optic nerve. “The shunts we gave Peter years ago improved the flow of that fluid, which relieves the pressure in the eye. By taking the cataract out of the eye of someone who has glaucoma, the pressure in the eye is automatically lowered. Cataract surgery, which includes the removal of the cloudy, natural lens and the implantation of a new, synthetic intraocular lens (IOL), usually takes about ten minutes per eye. The extra glaucoma procedure adds only a minute or two to that time. Dr. Khodadadeh is qualified to perform half a dozen such microinvasive procedures, and because Peter has been a patient of hers for so long, she knew precisely which procedure would serve him best for his lifestyle and line of work. The procedure she performed is called an endocyclophotocoagulation, or ECP, which she describes as a laser procedure that helps to decrease the amount of fluid that’s made in the eye by shrinking the area in which the fluid is made. An ECP is performed after the cataract has been removed and the IOL has been implanted. It is achieved by directing a special camera through the same incision that was made to conduct the cataract surgery. That camera is attached to a large TV screen, and at the inserted end of the camera is a laser beam that looks like a laser pointer. The beam is used to shrink the area where the fluid is made so that less fluid is produced and lower pressures are obtained. Peter says the greatest benefit of having cataract surgery and the ECP procedure done at the same time is that he’s seeing better than ever through the healthiest eyes he’s had in nearly 30 years. Since having the ECP laser procedure, Peter says he is seeing better through the healthiest eyes he has had in years. 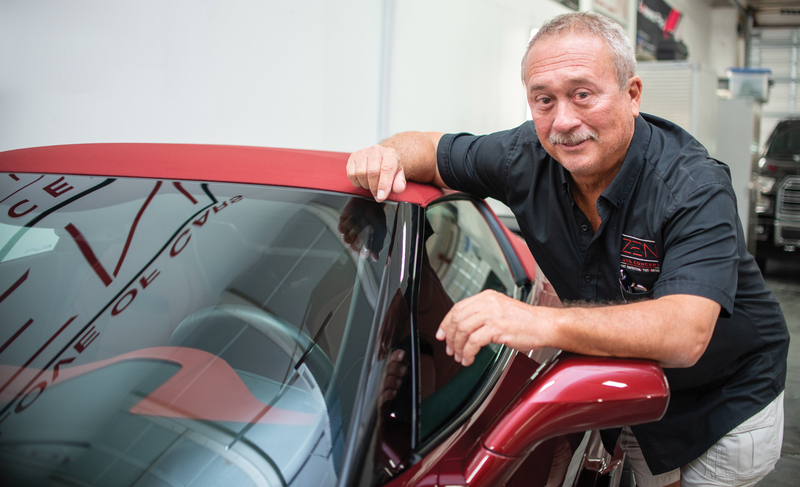 “The biggest difference I’ve noticed is that everything is so much brighter now!” Peter exclaims. “I go outside and it’s like someone turned a spotlight on. That’s a result of the cataract surgery. “I still wear glasses for reading and for my work up close, but that was a personal choice. I’ve been wearing glasses for distance vision since I was a kid, and I really wanted to change that up, so I had my eyes corrected for that, and I’m very happy. Roy Cummings is a native of Chicago, Illinois who grew up in the suburb of Lombard. He and his family later moved to Lakeland, Florida, where Roy attended high school at Kathleen High. 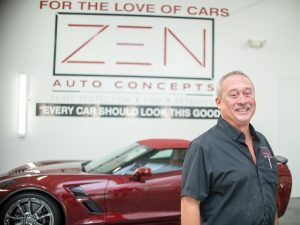 He graduated from the University of South Florida with a Bachelor's Degree in Mass Communications in 1983 and immediately went to work for the Tampa Tribune. After five years working in a Polk County bureau covering everything from high school sports to college football to the Orlando Magic of the NBA, Roy moved back to Tampa and became the Tribune's first beat writer for the Tampa Bay Lightning, covering the team from its inception through the first eight years on the ice. He was then moved to the Buccaneers beat, where he stayed until the paper was folded in May, 2016. A two-time Florida Sports Writer of the Year, Roy has extensive experience covering all Tampa professional sports teams, including the Tampa Bay Rays.